Can launching an app trigger the launch of another app? When I launch a specific application in Mavericks I'd also like to automatically launch and execute another one. Open Automator, and choose 'Application' from the pane that appears. Then, save the document with a name you'll remember (something like 'Spotify Launcher') in /Applications, and replace Spotify in your dock with the Spotify Launcher app that's been created. It will launch both Spotify and the companion app you want to use with Spotify whenever you invoke the application. Not the answer you're looking for? Browse other questions tagged macos mavericks applications applescript . How can I prevent applications from re-launching at startup? 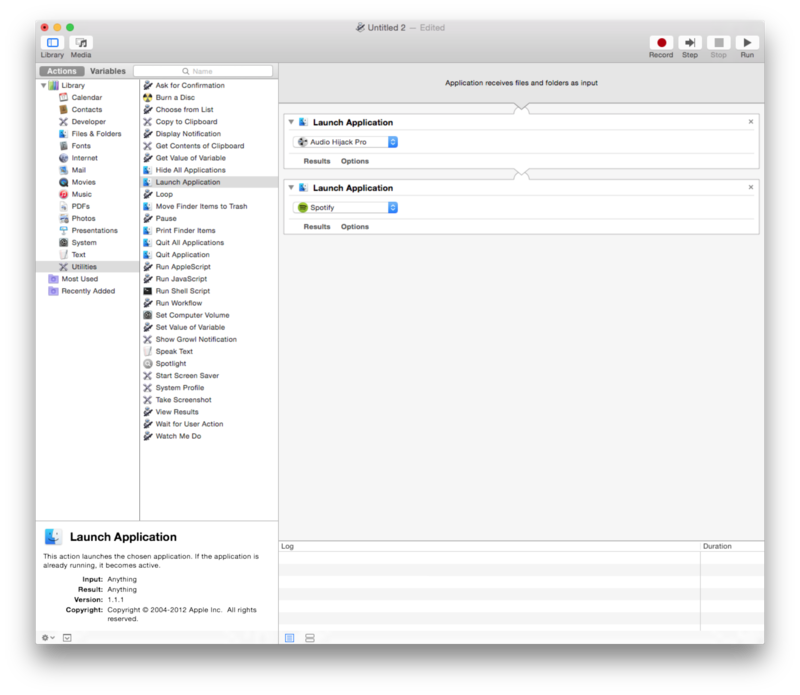 Can I automatically launch an app at a specific time on Mavericks? How can I prevent FaceTime from launching when I plug in an external video camera? automate app launch at midnight ?